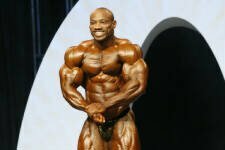 2006 Olympia Review - Jay Cutler Makes History! 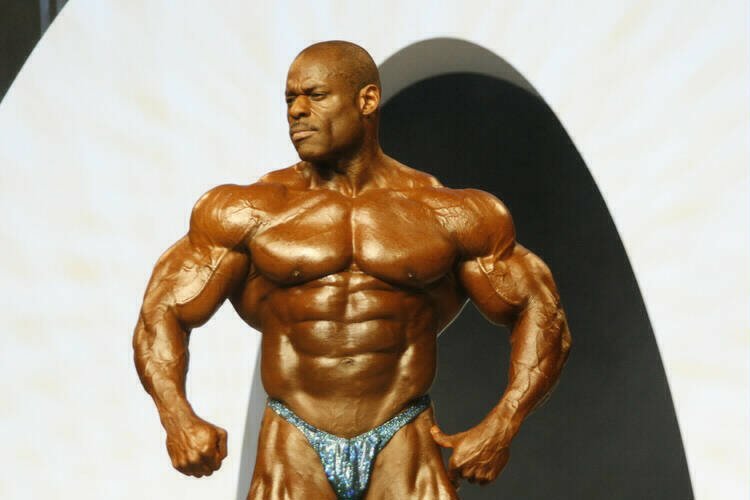 Here is my latest review from the 2006 Mr. Olympia contest. Read on right here as I highlight the top 15 and give details about who placed where and why. Congratulations go out to Jay Cutler and rest of the line-up for putting on such a great show! Jay won and Ronnie lost. That sums up the 2006 Mr. Olympia. 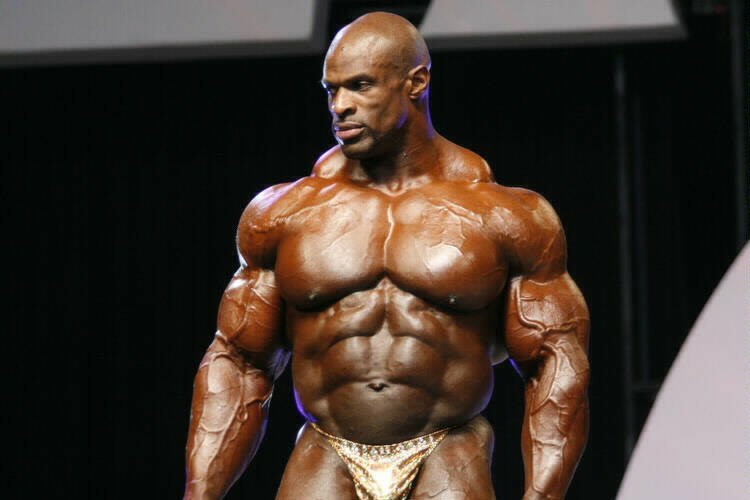 In a historic upset, the reigning Mr. Olympia, Ronnie Coleman, was defeated on stage by his fiercest rival, Jay Cutler. 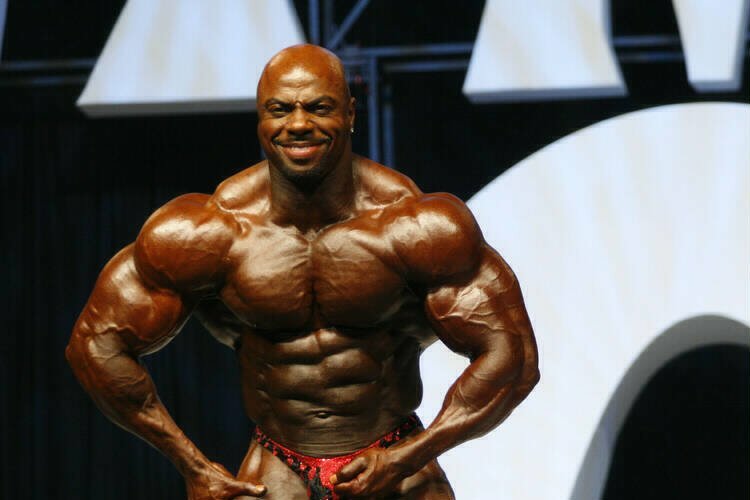 It's an occurrence that has not happened since 1984 when Lee Haney won his first Mr. Olympia when he defeated the current champion, Samir Bannout. 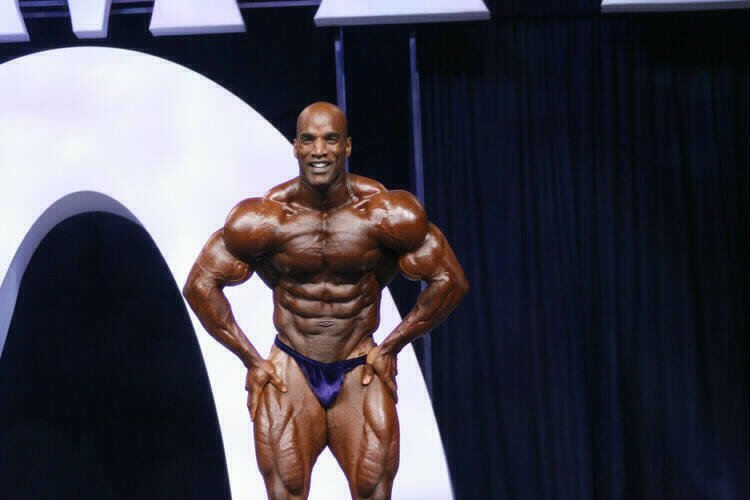 A Look At The Olympia History. I've put together a list of past Mr. Olympia results, Olympia history, forum member feedback, and much more. Check it out! "One Step Closer" is the title of Jay Cutler's latest DVD. In 2005 he was indeed a step closer to taking the Mr. Olympia crown home to Las Vegas. When he shoots his next DVD it should probably be titled, "I Have Arrived" because Cutler proved to everyone that he was the BEST bodybuilder in the world in 2006. 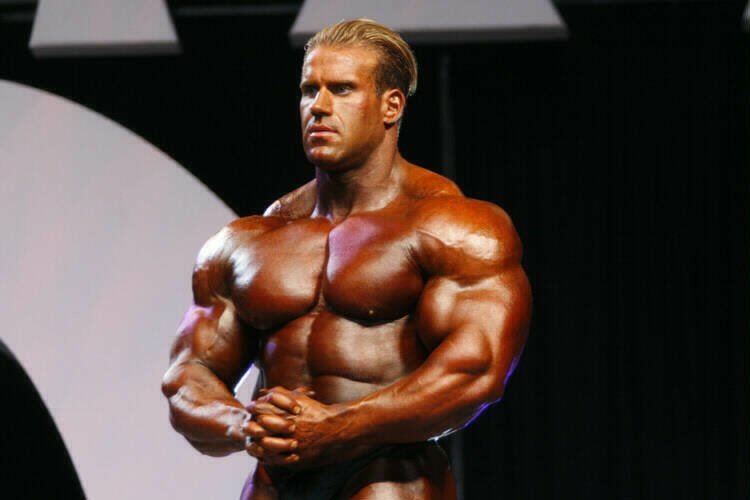 On Saturday, September 30, 2006, Jay Cutler was unbeatable and became one of eleven men to hold the title of Mr. Olympia. 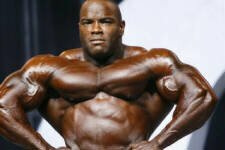 In an unusual decision by the promoters, the 2006 Mr. Olympia was held over two days. The judging was on Friday and the Finals were held on Saturday night. This is a normal procedure for many amateur national competitions, but it was strange for the Mr. Olympia. It made it a challenge for competitors to time their peaks. 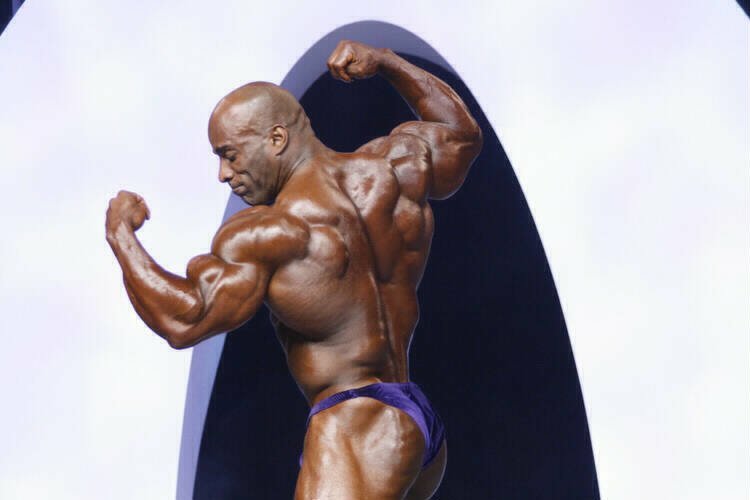 After watching the judging on Friday night, I was confident that Coleman was going to win his ninth Mr. Olympia. Based on where I was sitting, which was far enough back that I had to rely on binoculars, I thought Ronnie had dominated the show over everyone except Cutler. From my distance, Jay looked to be in good shape, but due to his extremely dark coloring, I couldn't make out his details. 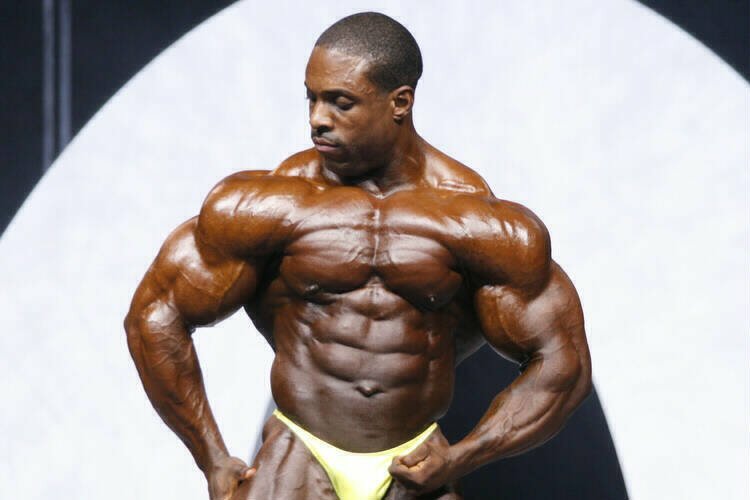 Ronnie looked huge and I thought he was close to 300 pounds with fairly good conditioning. Jay did seem to get stronger and fill out more as the judging progressed, but I still thought Ronnie would squeak by Jay. I talked with Bob Cicherillo for a little while at the Expo on Saturday afternoon and he was convinced that Jay had it in the bag. He was sitting considerably closer than I was and he said Jay's details were very visible and he was in his 2001 shape again. I asked a few others, including Dorian Yates, and I was hearing the same thing. As I walked around the Expo, grabbing free stuff like everyone else, I started to think Jay might become the Mr. Olympia. I stopped by the MuscleTech> booth and Cutler happened to be sitting there signing photos and I took a good look at him and the thought occurred to me that I should get a photo taken with him because one of my for-fun goals is to get my picture taken with each Mr. Olympia. Troy looked great, but he was up against the best in the world and could only crack the top 15. Much like Alves, Darrem looked good, but he can't match the size of the competitors who placed ahead of him. Jackson was thick as usual but not as sharp. Not quite as conditioned as in the past but he was happy with the amount of callouts he received in the prejudging. What can I say? He's been around forever, even before Ronnie and he can still place in the top 15 at age 50. Gunter was a little off during the judging but he looked better at the finals. I enjoyed his routine, which was more of a classical, old-school posing routine. It was rather refreshing seeing that than the dozen or so routines where the guys do a music change and then motion to the crowd to cheer for them. The way I see it is if you have to TELL the crowd to cheer for you, then you're not in shape. DJ was big as a house and very full this year. Not as sharp, but the crowd loved him. The crowd loves to chant Ruuuuhl when he walks out. Markus has the size and the type of clarity and separation in his physique that allows you to see him from the back row. From a distance he looks like the clear-cut winner. Up close, however, he had a thin layer of water blurring his definition. The X-Man got seventh place in his first attempt at the Olympia. Good job, Toney! Gustavo Badell was deservedly called out in sixth place. Gus wasn't as good as he was last year and he dropped three placings from 2005. Melvin Anthony was all smiles when it was announced that he had taken fifth place. Dexter was disappointed at his placing, but he didn't seem surprised. Victor looked fabulous and if he would have been called out in second place or possibly first, I don't think people would have been shocked. He was that good. 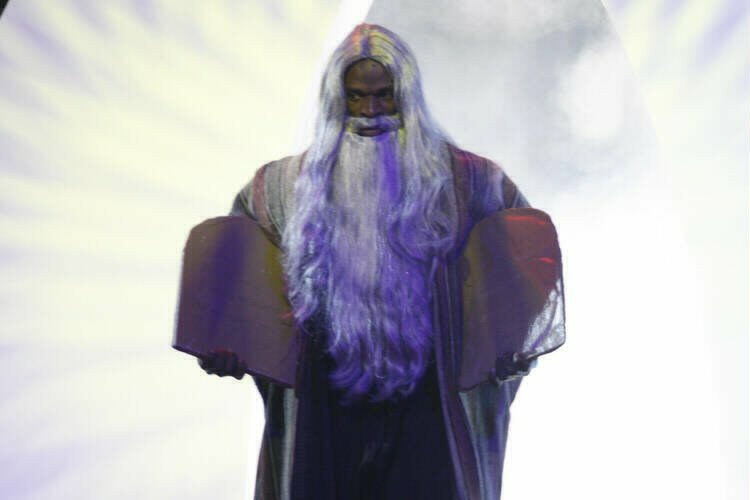 It was finally time for the eight-time champion to take the stage because he was the last competitor. The moment was built up by an announcer onstage who introduced Ronnie as if he were the current heavyweight boxing champion. Some might call it cheesy, but I thought it was entertaining. As Coleman started striking pose after pose, I started thinking that he wasn't in the kind of shape I thought he was. (Those closer seats made a difference.) He still looked huge but his back was off and his waist was wide. He was full, really full and it made him look puffy. It was now even more evident to me that Ronnie's winning streak might actually come to an end. Not As Good As I Had Thought. Jay Cutler walked through the "O" arch and out to the front of the stage as the crowd thundered with approval. Jay's details and dryness was more evident to me immediately. He was in great condition and exuded confidence that he was ready to become Mr. Olympia. It wasn't portrayed as cocky either, but real confidence. 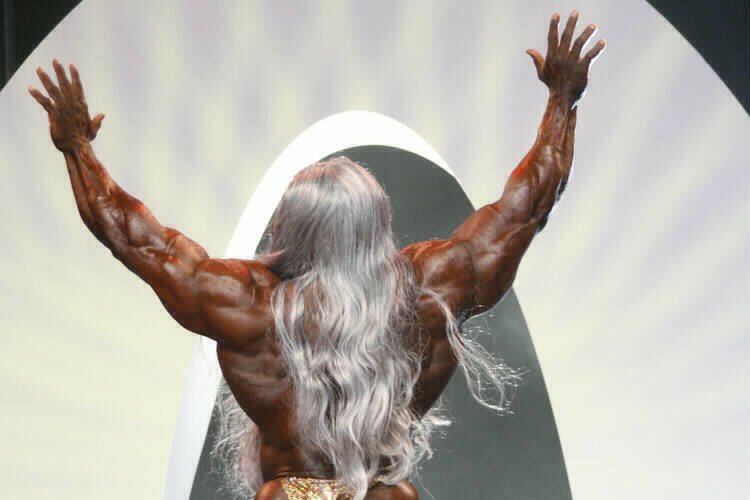 The final six competitors, Melvin Anthony, Gustavo Badell, Dexter Jackson, Victor Martinez, Jay and Ronnie were called back on stage for the final comparisons. Cutler and Coleman were standing next to each other and I thought, "Oh good. Here's my chance to compare the two guys side by side now that I can see better." Jay Cutler & Ronnie Coleman. Three competitors were left. 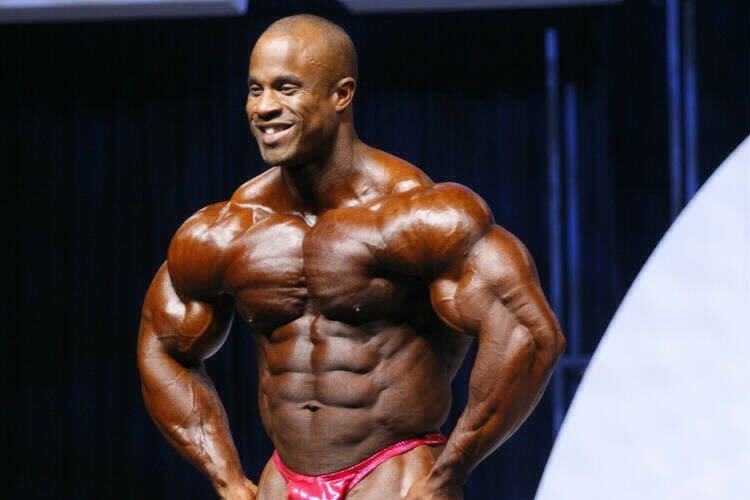 Victor Martinez was in fantastic shape and I started to think that maybe, just maybe, Ronnie would be in third place, but Victor's name was called out and it was again down to Jay and Ronnie for the last two spots. At this point, I didn't know what to think. I like both Ronnie and Jay. I'm a fan of both of them. I like to see records set, but I also like upsets. Bob drew out the announcement for a while (as good announcers just HAVE to do). Bob bellowed out Jay Cutlerrrr's name and the crowd went nuts. They roared, no thundered, with approval. Nearly everyone in the Orleans Arena was standing while they were cheering. It was electrifying. I realized that this was probably the most exciting finish in the history of the contest. And I got to witness it. Ronnie appeared devastated and Jay was his usual cool and calm self with a huge smile on his face. He proudly accepted his well-deserved Sandow trophy and gave a short victory speech. Jay Proudly Accepts His Win. Jay is very well spoken and he proved once more that he is indeed a good ambassador for the sport of bodybuilding and the IFBB as well. As Mr. Olympia he will promote and represent us to the best of his abilities. Congratulations, Jay. I hope you enjoyed your Miller time. 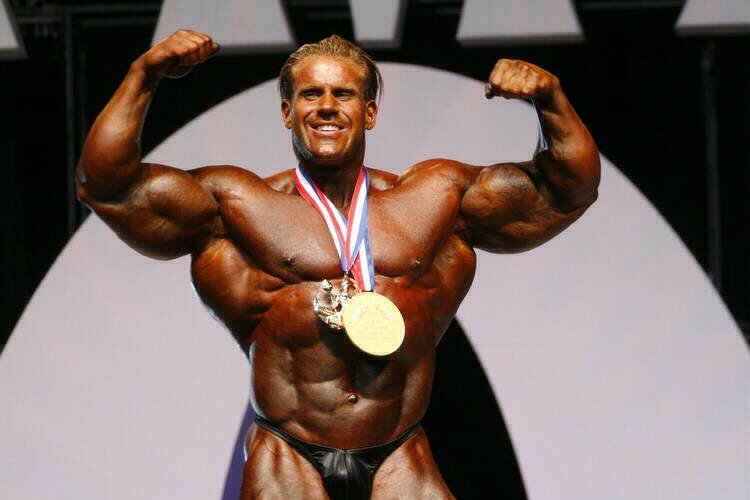 2006 Mr. Olympia, Jay Cutler.